Come play a game of mischief, magic, mirth, and lore. Delve into the Book of Fate to reveal mysterious fortunes: realms near and far, resources wondrous & wild. Cast your lot with a crew of assorted (and sordid) characters. If you pay your dues and play your hand right, you may just win A Foolâ€™s Fortune. 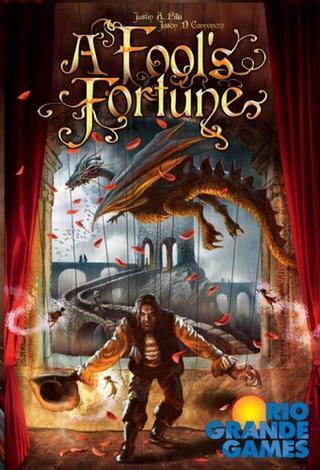 A Foolâ€™s Fortune is a two player card game in the tradition of Rummy, where players race to make setsâ€¦ but with several wily twists. Found within the deck of 77 unique cards are 5 suits of Fortunes & and a host of talented Characters playerâ€™s may employ. Be the first player to complete 3 sets to win A Foolâ€™s Fortune!